The new massage tool could help athletes recover faster. The athlete-favorite brand Hyperice (behind innovative recovery tools including the vibrating roller) has launched a new portable massage therapy device called the Hypervolt, designed to relieve muscle pain and soreness, increase circulation and range of motion, and improve the health of the body’s soft tissue. 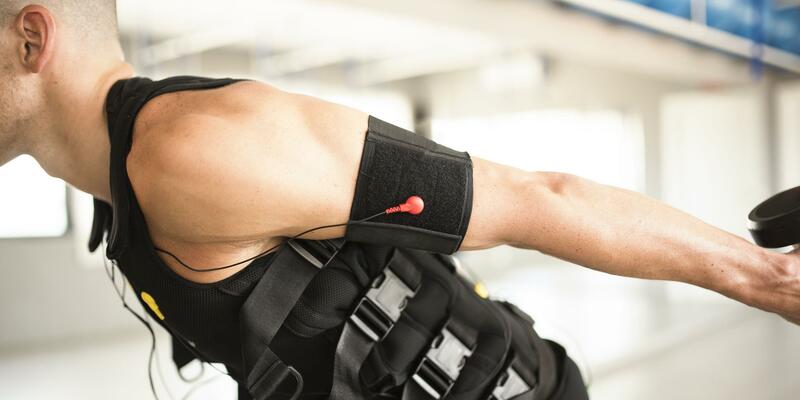 "Since the vibration being delivered with the Hypervolt is via a small surface area, you can work on very specific parts of the body independently of others,” says Matt Berenc, director of education at the Equinox Fitness Training Institute. He adds that the device can be used pre-workout to provide a stimulating effect or post-workout to relax the muscles and aid in the removal of waste products. He also points out that since the device is so targeted in delivery, working with a professional like your trainer or physical therapist for application will offer the best results. “While the gold standard is still to visit a licensed massage therapist, avid lifters, marathon trainers, or any other athletes putting an active strain on their bodies can benefit from using the new Hypervolt," says Berenc.